How do I download MMD? How do I use MikuMikuDance? How do I run Miku Miku Dance? LearnMMD.com features MMD Tutorials! When I downloaded MMD 7.39 back in July, 2011, I wanted to learn how to do everything … but tutorials and instructions seemed to be spread all over the web! So I decided to teach myself the software, keep detailed notes of my progress and create this webpage to share with you all of the facts and instructions as I learned them. 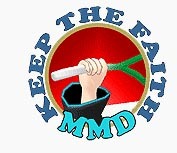 Let’s Learn Together … MMD Let’s Learn How to Do Everything! LearnMMD.com has grown a lot since August of 2011! See the Category list down the center of every page. See the HOW TO, BONUS PAGES, Homework, and DOWNLOADS tabs at the top of this page. Let’s Learn How to Do Everything! Intro to MikuMikuDance, Welcome to LearnMMD.Com! We have several articles about downloading and installing MME. All you do to install MME is drag and drop the three DLL files into your main MMD folder.